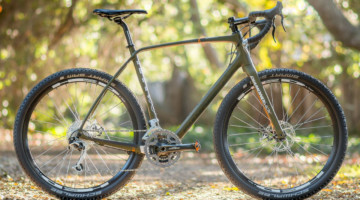 We’ve taken a look at the GT Grade before, both at last year’s Bike Press Camp, where we first saw the GT Grade alloy model, and more recently at the 2016 Sea Otter Classic. 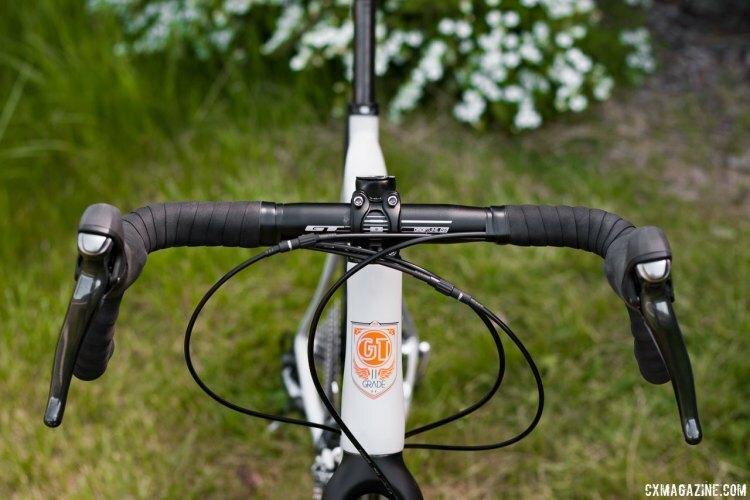 The model was introduced just two years ago and earlier this month at the 2016 Bike Press Camp, we saw the full 2017 GT Grade gravel, or “Enduroad” as the company calls it, line-up. Overall there aren’t loads of changes, but of note is the fact that each model is coming with wider rubber, 32c gravel tires instead of the previously spec’d 28c gravel tires. That change alone makes the Grade a more attractive option. The bikes in the Grade line-up that really caught our eye were the Grade Carbon Ultegra model and the Grade Carbon Tiagra spec. As the model names suggests, each is primarily outfitted with Shimano kit in the respective component levels. The Grade Carbon Tiagra shares the same fraemset as the Ultegra model, but comes with Shimano Tiagra shifters and front and rear derailleaurs mated to an FSA Vero compact crankset and TRP HY/RD disc brakes. 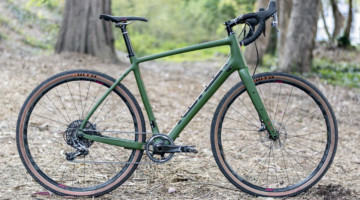 The wheelset spec on the Tiagra model is thought out for the intended purpose, Stan’s NoTubes Radler disc wheels wrapped in Clement Strada USH 32c gravel tires. 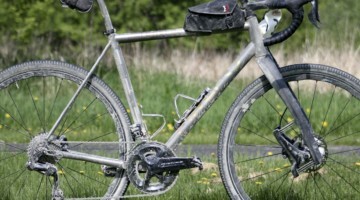 Finishing bits are a mix of alloy and carbon offerings from GT. 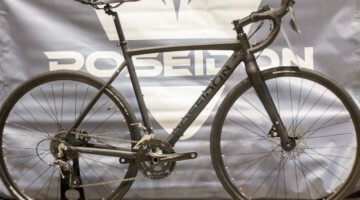 The Grade Carbon Ultegra has a full compliment of 6800 Ultegra kit, including the crankset and hydraulic disc brakes and features mechanical shifting. 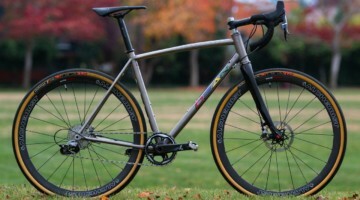 The wheels move to Mavic Aksium disc, while the tires are the same Clement offering as the Tiagra model. And the carbon post moves to an FSA set-back offering with a Fizik Monte saddle atop. But the other finishing bits are from GT. Of course, being GT, it’s not just gravel bikes on offer, but throwback bikes aimed at the young-at-heart as well as the young. 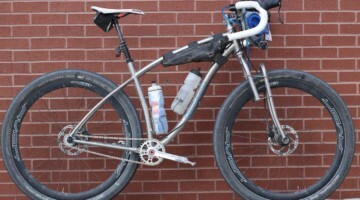 Bikes like the 26″ wheeled Performer, which sports the same geometry as the original freestyle bike from the 1980s ridden by the likes of Eddie Fiola, harken back to how many of us got started riding. 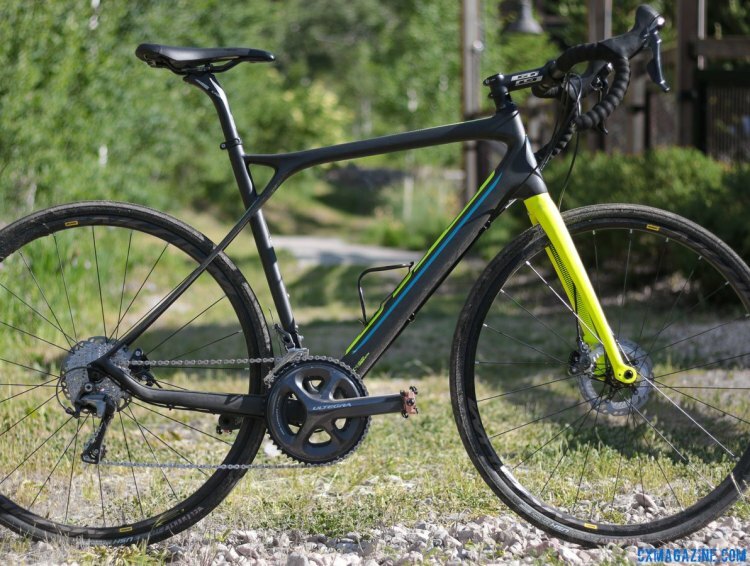 See the Performer as well as plenty of images of the Grade Carbon Ultegra and Tiagra gravel bike models in the slideshow below. Get a look at all of the Bike Press Camp updates here.